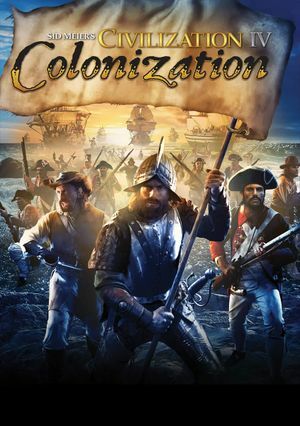 Remake of Sid Meier's Colonization. If you own retail version, you have to request multiplayer patch. Steam version online multiplayer has been transitioned to Steamworks. Complete Edition. 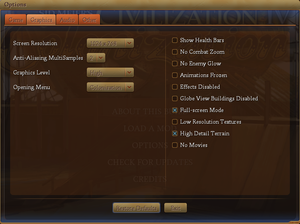 Bundled with Civilization IV. Retail version owners can contact 2K Support for Steam product keys. The latest retail patch is 1.01f. The Steam version is already patched. Change NoIntroMovie from 0 to 1. Saves can be stored anywhere; the default locations are listed above. 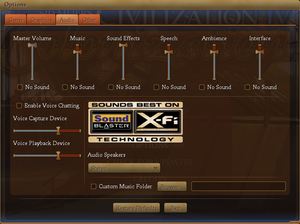 Music, Sound Effects, Speech, Ambience, Interface. 28 Non-Steam versions require a GameSpy ID. Removed from the Steam version. Install the beta to regain access. GameSpy, Steamworks All versions except Steam use GameSpy services that have been shut down. ↑ 1.0 1.1 File/folder structure within this directory reflects the path(s) listed for Windows and/or Steam game data (use Wine regedit to access Windows registry paths). Games with Steam Cloud support may store data in ~/.steam/steam/userdata/<user-id>/16810/ in addition to or instead of this directory. The app ID (16810) may differ in some cases. Treat backslashes as forward slashes. See the glossary page for details. This page was last edited on 7 March 2019, at 22:50.